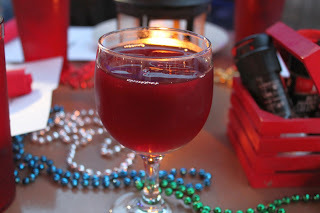 I recently attended the launch of Dishcrawl in Tampa. 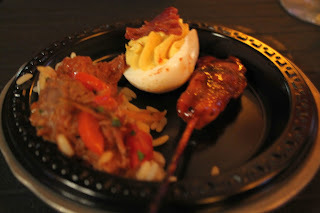 It was a great event and I was very excited when Dishcrawl's Ambassador Tracy asked for my input on a future event - Dishcrawl was coming to my stomping grounds in Ybor. I gladly passed over a few ideas and was excited to see some of them on the lineup. 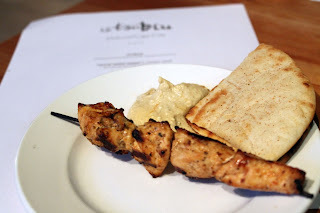 We started off with one of my suggestions, Istanblu, one of the newer restaurants in Ybor City. I met up with my friend Leslie and headed to the bar where the other dishcrawlers were Many of them were drinking Turkish Wine but Les and I wanted something different. We opted for the Spicy Margarita. . After receiving our very strong and spicy cocktail, we headed upstairs with the rest of the Dishcrawl group to find a family style sampling of Humus (chickpeas and tahini paste seasoned with garlic and olive oil), Tavuk Shish Kebab (marinated grilled chicken breast on a skewer) and fresh pita. I could have sat there all day eating this dish! Next, we headed to one of my favorite watering holes in Ybor - Gaspars Grotto. We had the opportunity to drink pitchers of red and white sangria and feast on Gaspar's Pulled Pork Quesadilla, Smoked Fish Sprad and Famous Cuban. In 2012, Gaspars won the best non traditional Cuban at the Cuban Sandwich Festival. 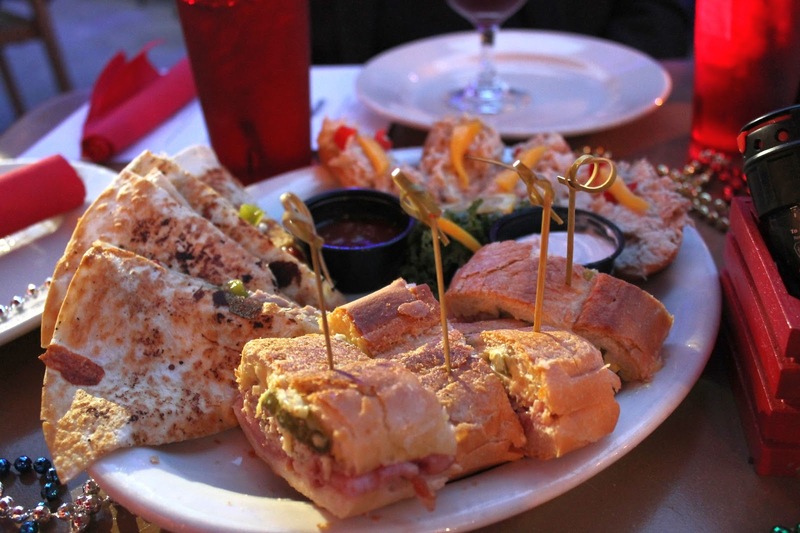 This Cuban is one of my favorites in town - and I can say I am a Cuban Sandwich connoisseur (see what living in Ybor for 2 years will do to you). The Mojo Pulled Pork Quesadillas with guava sour cream is one of my favorite dishes at Gaspar's. I usually get mine without the onions, red and green peppers, but this one had everything included and it was nice to see how it normally comes out (I prefer my modified version). This was my first time trying out Gaspar's house made Smoked Fish Spread. It was nice to learn that the spread was made fresh using local gulf fish. Third stop on the list is Bernini's, a historic restaurant Ybor restaurant who is widely known for their Happy Hour ($2 Finlandia Martini's, 1/2 off Pastas and 1/2 off Entrees). 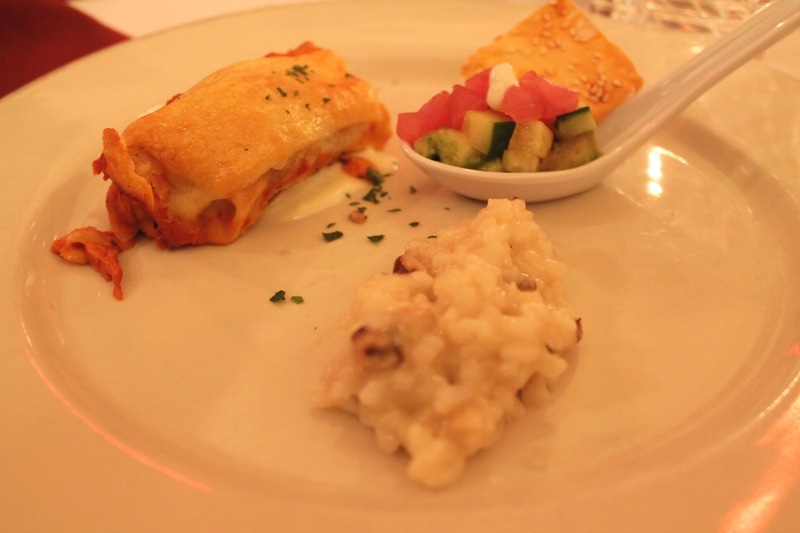 We were presented a trio of Tuna Tartar, Veal Cannelloni and Truffled Risotto. The Risotto was my favorite of the three and I look forward to coming back to Bernini's to order this on Happy Hour! Finally, we ended the night at Carne Chop House, one of my personal favorites of Ybor. 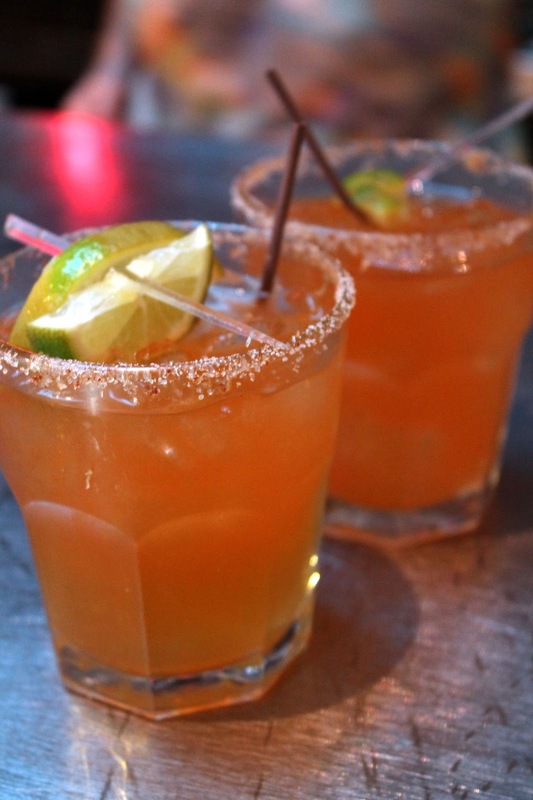 Carne also has a great Happy Hour and nightly specials. My favorite is arriving at 5:45, ordering a $9.99 prime rib and $2 cosmo's. During Dishcrawl Cigar city, we feasted on the classic Cuban dish Ropa Vieja along with Marinated Chicken Skewers and Deviled Eggs. The next Dishcrawl is scheduled on Tuesday March 26th and they are touring Beautiful Bayshore. I have a $5 discount code that is valid until mindnight March 25th. Dishcrawl discount code: irunforwine. Click here to purchase your tickets now at this reduced price!